In humans, bloating is little more than an annoyance that causes our stomachs to appear larger than they should. Sometimes bloating can leave us feeling uncomfortable, but there is little more to worry about. However, when it comes to our pets, bloat is a life-threatening emergency that requires urgent medical attention. What is pet bloat and what causes it? Bloat is excruciatingly painful for your pet, and it could kill her within just a few hours if emergency medical treatment from a licensed and trained veterinarian isn’t sought. While bloat is most commonly seen in dogs, it can also affect felines and normally happens after a cat has eaten a large meal far too quickly. Since bloat is such a dangerous condition, it is important to recognize its symptoms so that you can get your pet the medical help she needs as quickly as possible. If you suspect that your pet has bloat, you will need to get her to a veterinarian as soon as possible. Once our vet confirms that your animals is affected by bloat, immediate steps will be taken to release the build-up of air and gas inside her stomach. This will stop the soft tissues in the stomach from being damaged and will take pressure off of the surrounding organs in her body. In many cases this can be done using a tube that is attached to a stomach pump. However, if the stomach is twisted then surgery may be needed to return it to its normal shape and position. 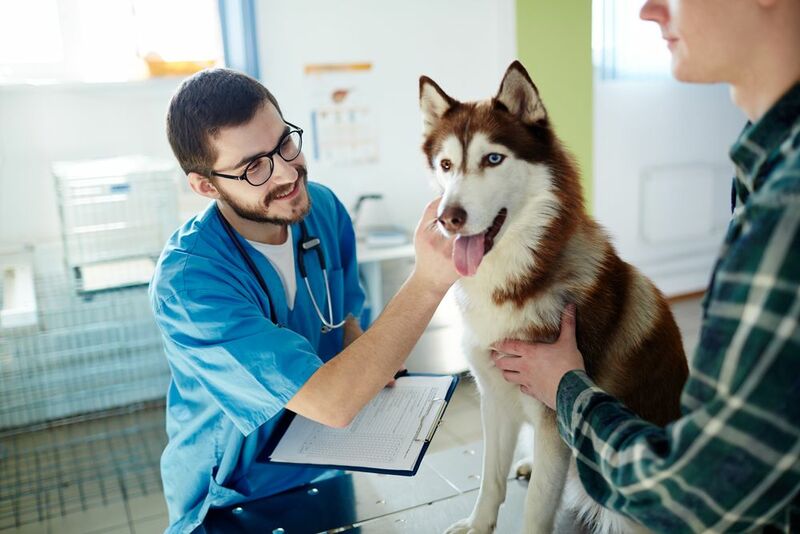 Further therapies may be needed to support the health of your pet including intravenous fluids, antibiotics and pain relief medications. These are given to help reverse the effects of bloat and enable your pet’s body to get back to normal. Unfortunately, pets that have experienced bloat before are more likely to have a secondary episode of the condition. In some instances, our veterinarian may recommend a surgical procedure that fixes your pet’s stomach to the wall of her body. This is known as a gastropexy and will stop the stomach twisting if she were to experience bloat again in the future. Pet bloat may be a deadly condition, but with prompt identification and treatment it needn’t put the life of your pet at risk. For further information about pet bloat, please do not hesitate to contact our veterinary team.